A Michigan man is facing life in prison after stabbing his stepdaughter to death and then setting her body on fire. The incident occurred on Nov. 1. 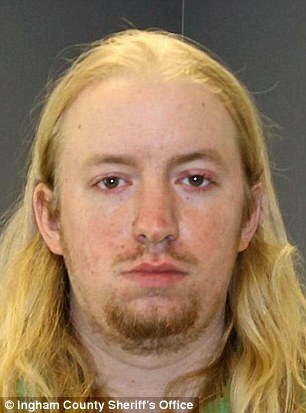 Thomas McClellan, 25, reportedly “snapped” after his 5-year-old stepdaughter Luna Michelle Younger repeatedly asked him for food, the Daily Mail reported. During a preliminary hearing, Detective Chuck Buckland said Luna refused to leave McClellan’s room until he fed her. That’s when McClellan stabbed her, covered her body in sheets, poured vodka on it and then set her on fire. 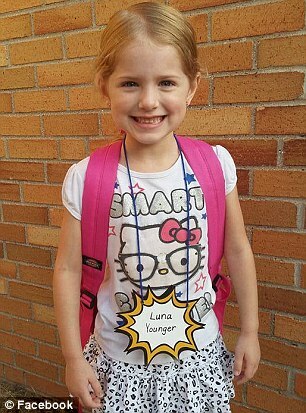 Medical examiners said Luna was stabbed at least five times. She died from her stab wounds, and sustained burn wounds from the fire. The Delhi Township fire department was called to the home to extinguish the flames. Firefighter Corey Drolett said they found Luna under smoldering blankets. He passed her body through a window to his colleague. Commanding officer Jeffrey Young instructed another firefighter to perform CPR on Luna. He said he knew the girl was dead, but wanted Luna’s mother, Victoria McClellan, to see “some effort” from the fire crew. Victoria was at work when the incident took place. She told authorities she had argued with her husband before going to work. She eventually convinced McClellan to turn himself in to police. McClellan is now facing charges of murder, first-degree child abuse and first-degree arson, WDTN reported. He could be facing life in prison if convicted.